Steinshamn, H. & Bakken, A.K. 2019. Enga som proteinressurs for drøvtyggjarar (Foredrag). Økomelk-konferanse, Scandic Hell, Stjørdal. The objective of this paper was to examine how cutting frequency, silage fermentation patterns and clover performance in grass-clover swards influence the use of inputs and profitability in an organic dairy system. 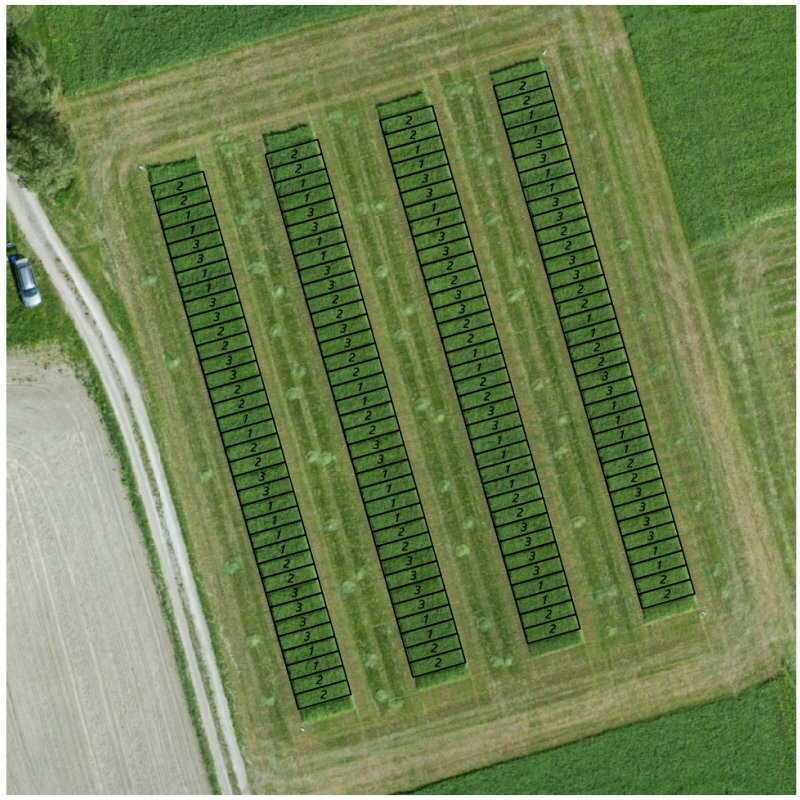 A linear programming model was developed to compare a three-cut and a two-cut system for a model farm in Central Norway, either with restricted or extensive silage fermentation at low or high red clover (Trifolium pratense L.) proportion in the sward, giving 8 different silage types in all. Input-output relations incorporated into the model were derived from a meta-analysis of organic grassland field trials in Norway as well as a silage fermentation experiment, and with feed intakes and milk yields from simulations with the ‘TINE Optifôr’ feed ration planner in the Norfor feed evaluation system. The model maximized total gross margin of farms with 260,000 l milk quota and housing capacity for 45 cows, with separate model versions for each of the 8 silage types. Farmland availability varied from 30 to 70 ha with 40 ha as the basis. Our results suggested that farmland availability and marginal return of a competing barley crop profoundly influenced the profitability of the different silage types. A high clover proportion increased dry matter (DM) yields and was far more important for profitability than the score on the other factors considered at restricted land availabilities. Profits with the three-cut systems were always greater than those with the two-cut systems, the former being associated with greater silage intakes and improved dairy cow performances but lower DM forage yields. Three-cut systems were further favoured as land availability increased and also by a lower marginal return of barley. Although use of an acidifying silage additive improved feed intakes and milk production per cow, the practice reduced total milk production and depressed profit compared to untreated, extensively fermented silage at restrictive land availabilities. With more land available, and in particular at a low marginal return of barley, use of a silage additive was profitable. Langerud, A., Sikkeland, E.H. & Bakken, A.K. 2019. Prøving av lovende timotei- og raigrassorter i frøblandinger. NIBIO POP, 5(1) Tilgjengelig fra: http://hdl.handle.net/11250/2580110. Kandidatsortene av engvekstartene tas opp på den offisielle norske sortslista ut fra prøvinger i reinbestand. De fleste dyrkes imidlertid i artsblandinger, og det kan være grunn til å se på om sortsrangeringen fra innledende prøvinger speiles når artene brukes i slike blandinger. Johansen, A., Bakken, A.K., Langerud, A., Borchsenius, R., Heggset, S. & Haugnes, A. 2018. Baled Whole Crop Wheat Silage: Harvesting losses, bale density and silage quality (Poster). XVIII International Silage Conference, Bonn. Proceedings of the XVIII International Silage Conference. 2018. s. 464-465. Johansen, A., Bakken, A.K., Langerud, A., Borchsenius, R., Heggset, S. & Haugnes, A. 2018. Baled Whole Crop Wheat Silage: Harvesting losses, bale density and silage quality. I: Gerlach, K. & Südekum, K.H. (red.) Proceedings of the XVIII International Silage Conference, s. 464-465. International Silage Conference, Tyskland. 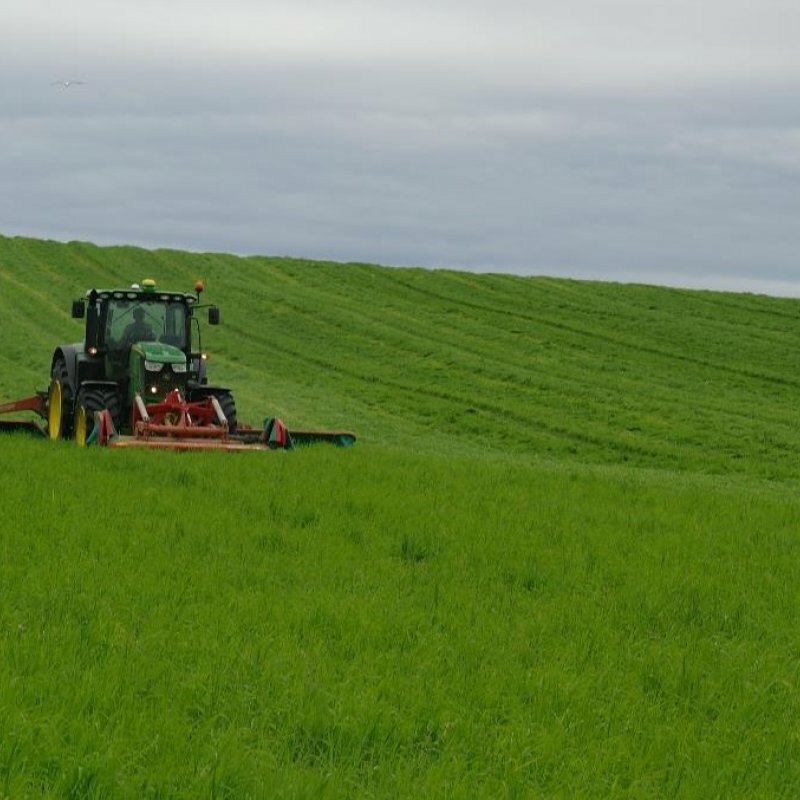 In a farm sceale study three baling strategies were examined in order to document harvesting losses as well as quality of the resulting silage. It was concluded that it is possible to avoid comprehensive harvesting losses and to achieve satisfactory fermented, late harvested Whole crop wheat silage bu use of traditional balers. Application of acid based additve had no significant impact on starch degradation in this Experiment, and the effect on fermentation pattern was inconsistent. Johansen, A., Randby, Å.T., Bakken, A.K. & Nadeau, E. 2018. Effect of kernel Processing and Acid Treatment on Fermentation Characteristics and Nutritive Value of Whole Crop Silage (Foredrag). XVIII International Silage Conference, Bonn. Proceedings of the XVIII International Silage Conference. 2018. s. 488-489. Johansen, A., Randby, Å.T., Bakken, A.K. & Nadeau, E. 2018. Effect of kernel Processing and Acid Treatment on Fermentation Characteristics and Nutritive Value of Whole Crop wheat Silage. I: Gerlach, K. & Südekum, K.H. (red.) Proceedings of the XVIII International Silage Conference, s. 488-489. International Silage Conference, Tyskland. A small scale ensiling Experiment was carried out in order to examine whether Processing of Whole Crop wheat may have negative implications during fermentation, e.g. elevated losses of starch by hydrolysis and whether Application of additive in order to restrict eh fermentation will moderate or intensify such an effect. It was concluded that kernel Processing prior to ensiling may facilitate starch degradation and have negative impacts on the nutritional value of late harvested Whole Crop wheat silage. Application of acid based additve had no significant impact on starch degradation in this Experiment. Bakken, A.K. & Steinshamn, H. 2018. Graset veks godt på norsk naturgrunnlag. Buskap : medlemsblad for Geno, 70(3): 40-41. Foredrag – Graset veks godt på norsk naturgrunnlag! Veit vi å verdsetje det? Steinshamn, H. & Bakken, A.K. 2018. Graset veks godt på norsk naturgrunnlag! Veit vi å verdsetje det? (Foredrag). Grovfôrkonferansen 2018, Stjørdal. Langerud, A. & Bakken, A.K. 2018. Hundegras og flerårig raigras i blandinger til hyppig høsting. NIBIO POP, 4(30) Tilgjengelig fra: http://hdl.handle.net/11250/2579092. Flerårig raigras passer godt i eng som høstes ofte for å gi lettfordøyelig grovfôr. I store deler av landet er det stor risiko for at det går ut om vinteren. Likevel er det interesse for å finne smarte måter å utnytte dets potensial så lenge det henger med. Samdyrking med hundegras er foreslått og praktisert av en del grovfôrprodusenter. Dette konseptet er testa i ulike deler av landet i et samarbeid mellom NIBIO og Norsk Landbruksrådgiving. Sustainable meat and milk production from grasslands. Proceedings of the 27th General Meeting of the European Grassland Federation. Grassland Science in Europe 1(23) 2018. s. 69-71. Bakken, A.K. 2017. Hvordan øke avlingene i norsk grovfôrproduksjon (Foredrag). Kvithamardagene, Stjørdal. Moksnes, T.O., Bakken, A.K. & Børresen, T. 2017. Mekanisk jordløsning i etablert eng (Poster). Agropro konferanse, Oslo. Jordpakking er blitt et problem i moderne engdyrking pga av endra klima og stadig større og tyngre maskiner. I masteroppgaven, som er en del av forskningsprosjektet Agropro, har det blitt undersøkt om mekanisk jordløsning i etablert eng kan bidra til å øke avlingene ved å forbedre jordstrukturen. Det ble anlagt to forsøksfelt med jordløsning, et i Orkdal i Sør-Trøndelag og et i Nærbø på Jæren, der virkning på jordfysiske egenskaper og grasavling ble undersøkt. Johansen, A., Bakken, A.K. & Langerud, A. 2017. Når poenget med heilgrøde er stivelse. Buskap : medlemsblad for Geno, 69(4): 52-53. Populærvitenskapelig – Fortørking av gras til surfôr i vått klima. Røynsler etter åtte år med breispreiing. Synnes, O.M. & Bakken, A.K. 2016. Fortørking av gras til surfôr i vått klima. Røynsler etter åtte år med breispreiing.. Medlemsblad for Norsk Landbruksrådgiving Sunnmøre, 30(1): 28-29. Populærvitenskapelig – Fortørking av gras til surfôr i vått klima. Synnes, O.M., Bakken, A.K. & Johansen, A. 2016. Fortørking av gras til surfôr i vått klima.. Buskap : medlemsblad for Geno, 68(3): 32-33. Breeding in a World of Scarcity. Proceedings of the 2015 Meeting of the Section “Forage Crops and Amenity Grasses” of Eucarpia. 2016. s. 243-247. Ergon, Å., Solem, S., Uhlen, A.K. & Bakken, A.K. 2016. Generative development in red clover in response to temperature and photoperiod. I: Roldán-Ruiz, I., Baert, J. & Reheul, D. (red.) Breeding in a World of Scarcity. Proceedings of the 2015 Meeting of the Section “Forage Crops and Amenity Grasses” of Eucarpia, s. 243-247. Springer Science+Business Media B.V.. Stem elongation and flower bud emergence in response to photoperiod (16 and 20 h) and temperature (10, 14 and 18 °C) were characterized in three Norwegian (Lea, Nordi, Reipo) and one Swiss (Fregata) red clover variety. The Norwegian varieties were slower in generative development than Fregata, and were, unlike Fregata, responsive to an increase in photoperiod from 16 to 20 h. Lea was later than Reipo, while Nordi was intermediate. Across all varieties, the earliness of stem elongation in response to temperature was saturated at 14 °C, whereas earliness of flower bud emergence also responded to an increase from 14 to 18 °C. Photoperiod and temperature had additive effects on timing of development prior to stem elongation and complementary effects on timing of development prior to flower bud emergence. Developmental rates calculated on a thermal time basis varied between temperature treatments. Steinshamn, H., Nesheim, L. & Bakken, A.K. 2016. Grassland production in Norway (Foredrag). The multiple roles of grassland in the European bioeconomy. 26th General Meeting of the European Grassland Federation, Trondheim. The multiple roles of grassland in the European bioeconomy. Grassland Science in Europe 21 2016. s. 15-25. Populærvitenskapelig – Grovfôrmodellen - verktøy eller leiketøy? Bakken, A.K. 2016. Grovfôrmodellen - verktøy eller leiketøy?. Buskap : medlemsblad for Geno, 68(3): 58-59. Hind, L.J., Sturite, I. & Bakken, A.K. (Intervju). 2016. Med grovfôr i fokus. Nibio.no, 28.11.2016. Tilgjengelig fra: http://www.nibio.no/nyheter/med-grovfr-i-fokus. Bakken, A.K. 2016. Ny forskning på kostnadseffektiv grovfôrproduksjon. Buskap : medlemsblad for Geno, 68(3): 38. Effects of wilting rate and fermentation stimulators and inhibitors on protein characteristics of forages typ- ical for organic production were assessed using tradi- tional analytical methods and a gas production in vitro assay. The hypotheses were that the proportion of the crude protein (CP) fraction that was soluble would be lowest, and the protein feed value highest, under rapid wilting and restricted fermentation. The solubil- ity of the CP fraction varied according to treatments and between a ﬁrst and a second cut, with moderate and high content of clover respectively. It was, how- ever, of minor importance for the protein value, both calculated as amino acids absorbed in the small intes- tine (AAT 20 ) and estimated as effective utilizable crude protein (uCP 04 ) by the in vitro assay. In ensiled her- bage, AAT 20 was highest in rapidly wilted and restrict- edly fermented silages made from a ﬁrst cut dominated by highly digestible grasses. Silages from the second cut dominated by red clover were far lower in AAT 20 . The in vitro assay did not separate silages according to herbage composition or wilting rate, but ranked restrictedly fermented above extensively fer- mented with regard to protein supply. The assay might still have caught the characteristics that determine the true protein value in vivo. Ergon, Å. & Bakken, A.K. 2016. Red clover traits under selection in mixtures with grasses versus pure stands (Foredrag). NorPlantBio 2016. Ergon, Å. & Bakken, A.K. 2016. Red clover traits under selection in mixtures with grasses versus pure stands (Poster). 26th General Meeting of the European Grassland Federation. The multiple roles of grassland in the European bioeconomy. Grassland Science in Europe 21 2016. s. 811-813. Rønningen, K. & Bakken, A.K. 2016. Regional food production and contribution to national food security under different scenarios (Foredrag). Agrispace workshop Hurtigruta, Hurtigruta. Rønningen, K. & Bakken, A.K. 2016. Scenarier for økt differensiert geografisk utvikling - 2030 (Foredrag). Workshop med brukergruppa for AGRISPACE, Oslo. Flaten, O., Bakken, A.K., Lindås, A. & Steinshamn, H. 2016. The economics of grass and red clover silage yield and quality in an organic dairy system (Foredrag). 26th General Meeting of the European Grassland Federation, Trondheim. The effects of cutting frequency, silage fermentation pattern and legume performance in grass-clover ley on use of inputs and profitability in an organic dairy system in Mid-Norway were examined. A whole-farm linear programming model was developed to compare a three-cut and a two-cut system, either with restricted silage fermentation through acidification or untreated at low or high red clover (Trifolium pratense L) proportion in the ley. Input-output relations incorporated into the model were derived from a meta-analysis of organic grassland field trials in Norway, silage fermentation experiments, and with feed intakes and milk yields from simulations with the NorFor feed evaluation system. The model maximised total gross margin of farms with 250,000 l milk quota, and housing capacity for 45 cows. Farmland availability was allowed to vary with 40 ha as the basis. High proportion of legumes in the leys was far more important for profitability than the score on the other variables considered. With little land available, the costs of preservatives were higher than their benefits. At higher land areas applying preservatives was more profitable. Cutting systems producing silages that result in an increased intake of silage per cow, generally three-cut systems, performed relatively better at higher land availabilities. The multiple roles of grassland in the European bioeconomy. Grassland Science in Europe 21 2016. s. 382-384. Grassland Science in Europe, (21) 2016. 898 s.
Höglind, M., Bakken, A.K., Hovstad, K.A., Kallioniemi, E., Riley, H., Steinshamn, H. & Østrem, L. 2016. The multiple roles of grassland in the European bioeconomy. Grassland Science in Europe, (21). 898 s. European Grassland Federation EGF. Populærvitenskapelig – Bonden kan påverke kvaliteten på grovfôret. Lunnan, T., Østrem, L. & Bakken, A.K. 2015. Bonden kan påverke kvaliteten på grovfôret.. Buskap : medlemsblad for Geno, (3): 24-26. Korsæth, A., Riley, H. & Bakken, A.K. 2015. Comments on the recently published study: “Compositional differences in soybeans on the market: Glyphosate accumulates in Roundup Ready GM soybeans”, by T. Bøhn, M. Cuhra, T. Traavik, M. Sanden, J. Fagan and R. Primicerio (Food Chemistry 2014, 153: 207-215). Food Chemistry, 172: 921-923. doi: 10.1016/j.foodchem.2014.08.041. Steinshamn, H., Höglind, M., Østrem, L., Naadland, S.S., Randby, Å.T. & Bakken, A.K. 2015. Dyrking, avling og kvalitet av intensivt dyrka økologisk eng. Bondevennen, (35-36). Foredrag – Er arts- og sortsrike frøblandingar best i økologisk grovfôrdyrking? Bakken, A.K. 2015. Er arts- og sortsrike frøblandingar best i økologisk grovfôrdyrking? (Foredrag). Nasjonalt økomelk-seminar og avslutning for forskningsprosjektet FORUT, Rica Hell, Stjørdal. Bakken, A.K. 2015. Fem punkt for avlingsøkning på garden. Buskap : medlemsblad for Geno, 67(3): 38. Institutt for plantevitenskap, Norges miljø- og biovitenskapelige universitet, 2015. 32 s.
Solem, S., Ergon, Å., Uhlen, A.K. & Bakken, A.K. 2015. Fenologisk utvikling i rødkløver. Mastergradsoppgave, 32 s. Institutt for plantevitenskap, Norges miljø- og biovitenskapelige universitet, Ås. Ergon, Å., Solem, S., Uhlen, A.K. & Bakken, A.K. 2015. Generative development in red clover in response to temperature and photoperiod (Foredrag). 31st International Eucarpia Symposium Section Fodder Crops and Amenity Grasses Section, Gent. Bioforsk-konferansen 2015. Sammendrag av presentasjoner og plakater. Bioforsk FOKUS 2(10) 2015. s. 48. Bakken, A.K. & Tørresen, K. 2015. Integrert ugraskamp i eng (GrateGrass) (Foredrag). Markdag Grovfôr, Bioforsk Kvithamar. Hetta, M., Steinshamn, H., Vaga, M., Randby, Å.T. & Bakken, A.K. 2015. Kan konserveringen av vallfodret påverka behovet av proteinfoder (Foredrag). Grovfoderkonferensen 2015, Umeå. Bakken, A.K. & Langerud, A. 2015. Konsekvensar av ulik slåttetid om hausten. Buskap : medlemsblad for Geno, 67(2): 86-88. The dataset comprises detailed mappings of two communities of interacting populations of white clover (Trifolium repens L.) and grass species under differing experimental treatments over 4-5 years. Information fromdigital photographs acquired two times per season has been processed into gridded data and documents the temporal and spatial dynamics of the species that followed from a wide range of spatial configurations that arose during the study period. The data contribute a unique basis for validation and further development of previously published models for the dynamics and population oscillations in grass-white clover swards. They will be well suited for estimating parameters in spatially explicit versions of these models, like neighborhood based models that incorporate both the dispersal and the local nature of plant-plant interactions. Randby, Å.T., Bakken, A.K., Heggset, S. & Steinshamn, H. 2015. Tap av tørrstoff ved grashøsting, lagring og fôring. Buskap : medlemsblad for Geno, 67(3): 17-21. Flaten, O., Bakken, A.K. & Randby, Å.T. 2015. Tidlig slått er ingen gratis lunsj. Buskap : medlemsblad for Geno, 67(3): 62-65. Foredrag – Tiltak for god proteinkonservering i surfôret. Hur utnyttjar vi bäst proteinet i ensilaget ? Hetta, M. & Bakken, A.K. 2015. Tiltak for god proteinkonservering i surfôret. Hur utnyttjar vi bäst proteinet i ensilaget ? (Foredrag). Nasjonalt økomelk-seminar og avslutning for forskningsprosjektet FORUT, Rica Hell, Stjørdal. Bakken, A.K. 2014. Ensilering og fôrkvalitet i kløverrikt materiale (Foredrag). Bioforsk-konferansen 2014, Hamar. Bioforsk-konferansen 2014. Sammendrag og presentasjoner. Bioforsk FOKUS 2(9) 2014. s. 87. Bioforsk Rapport, 9(2) 2014. 23 s.
Bakken, A.K., Langerud, A. & Johansen, A. 2014. Fastsetting av normavlingar i eng. Bioforsk Rapport 9(2). 23 s. Bioforsk, Ås. Tilgjengelig fra: http://hdl.handle.net/11250/2440849. På oppdrag frå Statens Landbruksforvaltning har Bioforsk foreslått avlingar av grovfôr hausta frå fleirårig eng i eit vêrmessig normalår i fire grupper av kommunar i Norge. Dette skulle tene som grunnlag for å endre forskrifta som regulerer utrekning av erstatning for avlingssvikt. Dei foreslåtte normavlingane er baserte på modellsimulerte potensielle avlingar som stegvis har vorte justerte ned til forventa praksisavlingar. Simuleringane vart gjort på grunnlag av historiske klimadata frå Bioforsk-stasjonar, og alle norske kommunar vart så grupperte rundt og med utgangspunkt i resultat for desse stasjonane. EGF at 50: The future of European Grasslands. Grassland Science in Europe 1(19) 2014. s. 603-605. The spring and the summer growth of an organic grass-clover sward were preserved as extensively and restrictedly fermented silages in laboratory silos.The aim was to develop and test the hypothesis that such crops contribute complementary energy and protein qualities that can be exploited in mixed rations. The summer growth, containing 76% red clover, contributed more, and more stable crude protein than the spring growth, which was dominated by grasses. Nevertheless, when preserved as silage, summer growth supplied less metabolizable protein and net energy lactation because of its lower digestibility. Lower feed value remains to be validated in feeding experiments, and the quality of regrowth silages may also be improved by more frequent or appropriate timing of harvests. Restricted fermentation obtained by application of formic acid improved energy and protein preservation. Bakken, A.K. & Ergon, Å. 2014. Hvilke egenskaper betyr noe for varighet i rødkløver? Bidrag i Agropro Nyhetsbrev nr. 1 (ANNET). Tilgjengelig fra: http://www.bioforsk.no/ikbViewer/page/prosjekt/tema/artikkel?p_dimension_id=97437&p_menu_id=97449&p_sub_id=97437&p_document_id=111359&p_dim2=97480. Bakken, A.K. 2014. Integrert ugrasbekjemping for økt avling og lønnsomhet i grovfôrproduksjonen (Foredrag). Markdag for grovfôrrådgivere, Kvithamar, Stjørdal. Populærvitenskapelig – Kor mistar vi det som kunne ha vorte store grovfôravlingar? Bioforsk Rapport, 9(19) 2014. 12 s.
Bakken, A.K. & Johansen, A. 2014. Matproduksjon på norske arealressursar med og utan import av fôrråvarer. Bioforsk Rapport 9(19). 12 s. Bioforsk, Ås. Tilgjengelig fra: http://hdl.handle.net/11250/2440853. Bioforsk-konferansen 2014. Sammendrag og presentasjoner. Bioforsk FOKUS 2(9) 2014. s. 82. Bakken, A.K. 2014. Matproduksjon på norske arealressursar med og uten import av fôrråvarer (Foredrag). Bioforsk-konferansen 2014, Hamar. Bioforsk Rapport, 9(177) 2014. 21 s.
Revdal, E. & Bakken, A.K. 2014. Nydyrking til erstatning for dyrka mark som omdisponeres som følge av at Halsteingård oksestasjon selges. Bioforsk Rapport 9(177). 21 s. Bioforsk. Bakken, A.K. & Bigseth, S. (Intervju). 2014. Overvurderer utmarksbeite som ressurs. Bedre Gardsdrift, 04.03.2014. Bakken, A.K. 2014. Presentasjon av gardsstudiane på mjølk- og kjøttproduksjonsbruk (Brosjyre). Proceedings of the 5th Nordic Feed Science Conference. Rapport/Sveriges Lantbruksuniversitet. Institutionen för Husdjurens Utfodring och Vård 290 2014. s. 37-40. Råproteininnhaldet var høgare og proteinet var meir stabilt under konservering i raudkløverdominert gjenvekst enn i grasdominert vårvekst. Likevel vart proteinverdien lågare i gjenvekstsurfôret, spesielt dersom ein la til rette for sterk gjæring. Tilsetjing av maursyrehaldige ensileringsmiddel for å hemme nedbryting av lettomsetjelege karbohydrat vil vere eit godt tiltak for god proteinkonservering. både i vårvekst og gjenvekst. Bioforsk-konferansen 2014. Sammendrag og presentasjoner. Bioforsk FOKUS 2(9) 2014. s. 88. The fauna of surface-active spiders was studied in 12 cereal fields, with two types of subcrop, and in four young (17 months old) perennial leys (grass/clover). The fields were located in the southeastern (A), central (B) and western (C) parts of Norway. In total, 3945 spiders were caught from May to September 2004, using pitfall traps. Linyphidae was the most numerous family, with Erigone atra Blackwall 1833 representing 56% of all trapped individuals. The total numbers of spider species and individuals were significantly higher in leys than in barley at sites where both crops were present (sites A and B), with on average 11 species and 93 specimens in barley, and 20 species and 393 specimens in leys. Thus, young perennial leys appeared to provide a better habitat for spiders than did cereal fields, as has previously been documented for older perennial leys. The use of multi-species crops instead of a single crop species undersown in cereals, tended to result in higher spider species diversity, but it did not influence the total number of specimens. An ordination (DCA) showed a clustering of the spider fauna from the same site, but no clear separation between main crop types (ley vs. barley) was apparent. The main crops, subcrops, and the surrounding environs of the cropped field seem to affect the diversity and abundance of spiders. Hansen, S., Frøseth, R.B., Bakken, A.K., Riley, H., Thorup-Kristensen, K. & Bleken, M.A. 2013. Effect of green manure management on barley yields and N-recovery (Foredrag). NJF seminar 461, Organic farming as a driver for change. Implications Mulching of GM herbage can increase cereal yields compared to its removal. However, the same GM herbage removed for biogas production will provide biogas residue that can be used as spring fertilizer to cereals. This will improve N-recovery and reduce the risk for N pollution. Cooperation with existing biogas plants will be more efficient, as building small biogas plants are costly and challenging. Bioforsk Rapport, 8(73) 2013. 46 s.
Johansen, A., Daugstad, K., Bakken, A.K. & Fystro, G. 2013. Inventories as basis for life cycle assessments of milk and meat produced at Norwegian dairy farms. Design and data for three modelled farms with medium production intensity. Bioforsk Rapport 8(73). 46 s. Bioforsk, Ås. Tilgjengelig fra: http://hdl.handle.net/11250/2445683. Nofima rapportserie, (3/2012) 2012. 51 s.
Espmark, Å.M.O., Lein, I., Bakken, A.K., Berge, G.M., Løes, A., Wibe, A., Høstmark, Ø., Langmyhr, E., Olsen, B., Måløy, K., Bakken, I., Kvande, J., Malvik, P.H. & Tvedt, G. 2012. Bruk av spillvarme til dyrking og prosessering av andemat i Midt-Norge. En bærekraftig proteinkilde til fiske- og dyrefôr. Nofima rapportserie (3/2012). 51 s. Nofima AS, Tromsø. Tilgjengelig fra: http://hdl.handle.net/11250/2504640. Motivasjonen for prosjektet var å legge grunnlag for en kommersiell satsing på å bruke spillvarme i en bærekraftig dyrking og prosessering av andemat i Midt-Norge, for bruk i kommersielle fiske- og dyrefôr samt å initiere et Midt-norsk og blå-grønt samarbeid mellom industri og FoU. Sunndal Energi arbeider for å finne gode prosjekter som kan utnytte spillvarme kommersielt. Formålet var derfor å legge grunnlag for en kommersiell satsing på å bruke spillvarme i en bærekraftig dyrking og prosessering av andemat i Midt-Norge, for bruk i kommersielle fiske- og dyrefôr. Rapporten tar for seg faglige vurderinger av alternative dyrkingsmetoder, næringsinnhold i andemat, husdyrgjødsel og biorest som næringsmedium, og metoder for avvanning og tørking. I tillegg blir det foretatt en vurdering av lønnsomhet. Rapporten konkluderer med at en helårsproduksjon av andemat vil kreve investeringer i dyrkingsfasiliteter og energi til lys og klimaregulering, og at dette kan bli kostbart. Utfra næringssammensetning kan andemat brukes som relevant råvare dersom tilstrekkelig kvantum er tilgjengelig. For å dyrke andemat kan en kombinasjon av fiskeslam fra ferskvannsbaserte anlegg og blautgjødsel fra storfe være gunstig for andemat, siden dette vil øke innholdet av P, som ser til å kunne bli det begrensende næringsstoffet hvis kun husdyrgjødsel brukes som næringskilde. Fiskeslam fra saltvannsbasert oppdrett er for salt. Andemat krever mye avvanning. Mekanisk avvanning etterfulgt av et tørkesystem basert på mekanisk fluidisering under tørkeprosessen (paddeltørke), eventuelt et ringtørke- system vil trolig bli den mest effektive metoden. De økonomiske analysene viser at det er utfordrende å oppnå lønnsomhet i dyrking og prosessering av andemat til fôrformål. Bakken, A.K., Randby, Å.T. & Uden, P. 2012. Endringar i fiberfraksjonen frå ferskt fôr til surfôr og høy (Foredrag). Bioforsk-konferansen 2012, Gardermoen. Bioforsk-konferansen 2012. Sammendrag og presentasjoner. Bioforsk FOKUS 2(7) 2012. s. 148-149. Frøseth, R.B., Bakken, A.K., Bleken, M.A. & Riley, H. 2012. Improving N efficiency in barley through green manure management and biogas slurry. NJF Report, 124-125. Frøseth, R.B., Bakken, A.K., Bleken, M.A., Riley, H., Thorup-Kristensen, K. & Hansen, S. 2012. Improving N efficiency in barley through green manure management and biogas slurry (Poster). 17th International Nitrogen Workshop, Wexford. Bergslid, R., Steinshamn, H. & Bakken, A.K. 2012. Kva for grovfôravlingar kan ein oppnå i økologisk produksjon (Foredrag). Bioforsk-konferansen 2012, Gardermoen. Populærvitenskapelig – Kva for grovfôravlingar kan ein oppnå i økologisk produksjon? Bioforsk-konferansen 2012. Sammendrag og presentasjoner. Bioforsk FOKUS 2(7) 2012. s. 143-144. Frøseth, R.B., Bakken, A.K., Bleken, M.A., Riley, H., Thorup-Kristensen, K. & Hansen, S. 2012. Nitrogenutnytting ved ulik grønngjødselhåndtering (Foredrag). Bioforsk-konferansen 2012, Gardermoen. Bioforsk-konferansen 2012. Sammendrag og presentasjoner. Bioforsk FOKUS 2(7) 2012. s. 90-91. I forsøk med ulik grønngjødselhåndtering fant vi en betydelig positiv avlingseffekt på påfølgende byggavling av å la grønnmassen bli liggende etter hver slått sammenlignet med å fjerne den. Biorest fra anaerobt fermentert grønnmasse ga samme avlingsnivå og bedre nitrogenutnytting enn å la grønnmassen bli liggende på stubben for å råtne etter hver slått. Johansen, L., Bakken, A.K. & Pedersen, B. 2012. Seedling recruitment of Trifolium repens in grass-clover swards is affected by grassland management and season (Poster). General Meeting of the European Grasssland Federation, Lublin. Grassland – a European Resource?Proceedings of the 24th General Meeting of the European Grassland Federation Lublin, Poland 3–7 June 2012. 2012. s. 136-138. Johansen, L., Bakken, A.K. & Pedersen, B. 2012. Seedling recruitment of Trifolium repens in grass-clover swards is affected by grassland management and season. I: Golinski, P., Warda, M. & Stypinski, P. (red.) Grassland – a European Resource?Proceedings of the 24th General Meeting of the European Grassland Federation Lublin, Poland 3–7 June 2012, s. 136-138. Organizing Committee of the 24th General Meeting of the European Grassland Federation and Polish Grassland Society. Bergslid, R., Steinshamn, H., Lunnan, T. & Bakken, A.K. 2012. Økologisk grovfôr - avling og kvalitet. Buskap : medlemsblad for Geno, (4): 86-89. Bioforsk-konferansen 2011. Bioforsk FOKUS 2(6) 2011. s. 101-102. Hansen, S., Frøseth, R.B., Bakken, A.K., Riley, H., Kristensen, K. & Bleken, M.A. 2011. Improving barley yields in organic stockless farming systems through innovations in the management of green manure swards (Poster). Making Crop Rotations Fit for the Future, Newcastle. Bakken, A.K. 2010. Fermentert og naturell grønngjødsel til økologisk bygg (Foredrag). Markdag om Næringsforsyning til korn fra organiske gjødselskilder, Kvithamar. Bioforsk Rapport, 5(66) 2010. 72 s.
Eltun, R., Romstad, E., Øygarden, L., Bakken, L., Krogstad, T., Uhlen, A.K., Bjugstad, N., Bakken, A.K., Grønlund, A., Hauge, A., Hoel, B., Korsæth, A., Riley, H., Endrerud, H.C. & Mangerud, K. 2010. Kunnskapsstatus - bedre agronomi. Bioforsk Rapport 5(66). 72 s. Bioforsk. Tilgjengelig fra: http://hdl.handle.net/11250/2460443. Denne rapporten er en utredning av kompetansegrunnlaget for bedre agronomi for å møte landbrukets klimautfordringer. Utredningen er gjort på oppdrag for Norges forskningsråd av Bioforsk, UMB og Høyskolen i Hedmark. Utredningen omhandler hvilke agronomiske muligheter og utfordringer jordbruket står overfor for å nå målene om lavere utslipp av klimagasser. Den tar også opp agronomiske utfordringer knyttet til effekter av endret klima og jordbrukets tilpasningsmulighter og behov for tiltak. Den gir en oversikt over hvor det er behov for målrettet FoU-innsats, og kommer med forslag til hvordan man kan sikre et godt utdanningstilbud og forskerrekruttering innen land-bruksteknikk og andre viktige områder av agronomien der studenttilgangen nå er for lav. Se utvidet sammendrag. The relative effects of using light (2-3 Mg) versus heavier (5-7 Mg) tractors, shallow (15 cm) versus deeper (25 cm) ploughing and on-land versus in-furrow wheel placement during ploughing were investigated from 2003 to 2006 in organic rotations (wheat or barley, green manure, oats with peas) and conventionally fertilized barley. Trials were located on loam soil in south-eastern Norway and silty clay loam in central Norway. Ploughing was performed in spring, when the topsoil moisture content was at or below field capacity, using single furrow ploughs that allowed alternative wheel placement and resulted in complete coverage of the surface by wheels each year (ca. 3 times the normal coverage during ploughing). Low tyre inflation pressures (:<= 80 kPa) were used throughout. The use of a heavy tractor increased topsoil bulk density slightly in the loam soil, and, in combination with in-furrow wheeling, it reduced air-filled pore space and air permeability at 18-22 cm. On the silty clay loam, the use of a heavy tractor did not increase bulk density, but it reduced air-filled pore space throughout the topsoil. In-furrow wheeling reduced air-filled pore space in this soil also, compared to on-land wheeling. Penetration resistance was in this soil always greater at 15-25 cm depth after shallow than after deep ploughing, especially with in-furrow rather than on-land wheeling. Shallow ploughing led on both soils to marked increases in perennial weed biomass compared to deep ploughing. Earthworms were hardly affected by the treatments, but in the loam in 2006 a higher number of individuals were found where the light rather than the heavy tractor had been used. Few significant treatment effects were found on grain yield and quality. Deep ploughing with a light tractor gave the highest wheat yield and protein content in 2 years on the loam soil, and on the silty clay loam the yield of conventionally fertilized barley was higher after deep than after shallow ploughing. In summary, limited evidence was found to support the use of on-land rather than in-furrow wheeling when ploughing is performed at favourable soil moisture and with tractor weights < 5 Mg. There is, however, reason to be wary of using heavy tractors (> 5 Mg), even under such conditions. With regard to ploughing depth in organic rotations dominated by cereals, the need to combat perennial weeds by deep ploughing weighs probably more heavily than any possible beneficial effect of shallow ploughing on stimulating nutrient turnover. (C) 2008 Elsevier B.V. All rights reserved. Vitenskapelig – Is it possible to counterbalance deficiencies or imbalances in cobalt, copper and/or molybdenum in forage based diets by including more and other plants? Bioforsk Rapport, 4(38) 2009. 95 s.
Bakken, A.K., Lunnan, T., Harbo, O., Höglind, M., Langerud, A., Rogne, T. & Ekker, A.S. 2009. Mer og bedre grovfôr som basis for norsk kjøtt- og mjølkeproduksjon. Resultater fra flerårige høstetidsforsøk i blandingseng med timotei, engsvingel og rødkløver. Bioforsk Rapport 4(38). 95 s. Bioforsk. Tilgjengelig fra: http://hdl.handle.net/11250/2468740. I blandingseng av timotei, engsvingel og rødkløver på lokaliteter i Stjørdal, Øystre Slidre og Klepp har en fastliggende over fire år prøvd ut ulike to-, tre- og fireslåttsystem på to nitrogengjødslingsnivå. Førsteslått har blitt tatt fra sein stengelstrekking til full skyting hos timotei, og påfølgende slåtter har blitt fastsatt etter akkumulert varmesum eller tatt på fast dato. Avling, kvalitet, fenologisk utviklingstrinn og botanisk sammensetning har blitt registrert i alle slåtter, til dels også artsvis. Bioforsk Rapport, 4(39) 2009. 77 s.
Bakken, A.K., Lunnan, T., Höglind, M., Harbo, O., Langerud, A., Rogne, T. & Ekker, A.S. 2009. Mer og bedre grovfôr som basis for norsk kjøtt og mjølkeproduksjon. Resultater fra flerårige høstetidsforsøk i blandingseng med engrapp/kvitkløver og raigras/kvitkløver. Bioforsk Rapport 4(39). 77 s. Bioforsk. Tilgjengelig fra: http://hdl.handle.net/11250/2468742. I blandingseng av kvitkløver og engrapp på lokaliteter i Stjørdal og Øystre Slidre, samt av kvitkløver og flerårig raigras i Klepp, har en fastliggende over fire år prøvd ut ulike tre- og fireslåttsystem på to nitrogengjødslingsnivå. Tidligste førsteslått har blitt tatt ved stengelstrekking hos engrapp/raigras, og påfølgende slåtter har blitt fastsatt etter akkumulert varmesum eller tatt på fast dato. Avling, kvalitet, fenologisk utviklingstrinn og botanisk sammensetning har blitt registrert i alle slåtter. Populærvitenskapelig – Tung redskap i økologisk drift - effekt på jord og avling? Riley, H., Bakken, A.K., Brandsæter, L.O., Eltun, R., Hansen, S., Mangerud, K. & Pommeresche, R. 2009. Tung redskap i økologisk drift - effekt på jord og avling? Forskningsnytt om økologisk landbruk i Norden 1/2009:8-11. Effekter av traktorvekt, pløyedybde og kjøremåte under pløying ble undersøkt på to jordarter i et økologisk vekstskifte. Forsøksbehandlingene hadde relativt liten effekt på avling (sv. skörd), men djup pløying var ofte best bl.a. fordi det reduserte mengden rotugras. Både pløying med hjulene i fåra og bruk av tyngre traktorer hadde uheldige (sv. olyckliga) virkninger på jordstrukturen. Dekkdimensjoner,hjulbelastning og dekktrykk bør kombineres på en slik måte at jordpakking unngåsi dypere jordlag. Populærvitenskapelig – Heilårs grøngjødsel – plantenæring eller forureiningskjelde? Plantemøtet 2008. Grønnsaker, Genressurser, Kulturlandskap, Korn, Proteinvekster/frø, Potet, Grovfôr, Plantehelse/Plantevern, Jord/miljø. Bioforsk FOKUS 1(3) 2008. s. 78-79. Heilårs grøngjødsel er ei viktig nitrogenkjelde til økologisk korn i eit omlaup utan tilgang på husdyrgjødsel. Dagens praksis med fleire gongars slått og grønmasse som vert liggjande på stubben for å rotne medfører stor risiko for nitrogentap. I feltforsøk på næringsrik jord vart det funne at grønmassen i svært liten grad bidrog til byggavlinga året etter. Plantemøtet 2008. Grønnsaker, Genressurser, Kulturlandskap, Korn, Proteinvekster/frø, Potet, Grovfôr, Plantehelse/Plantevern, Jord/miljø. Bioforsk FOKUS 1(3) 2008. s. 152-153. Akkumulert varmesum kan berre delvis brukast som rettesnor for kvalitetsutvikling i gjenvekst. Ein må også ta omsyn til utviklingstrinnet hos graset slåtten før, artar og sortar i enga og om tørke eller næringstilgang kan ha begrensa veksten. Energiinnhaldet i andreslåttane på tjue undersøkte bruk i 2007 var høgt ut frå at dei fleste vart hausta lenge etter at førsteslåtten vart tatt. Plantemøtet 2008. Grønnsaker, Genressurser, Kulturlandskap, Korn, Proteinvekster/frø, Potet, Grovfôr, Plantehelse/Plantevern, Jord/miljø. Bioforsk FOKUS 1(3) 2008. s. 142-143. Det vert gjort greie for oppnådde avlingar og avlingskvalitet gjennom fire år i eit økologisk vekstskifte. Resultata er lagde til grunn for ein diskusjon om høveleg avdråttsnivå og dyretal på eit mjølkeproduksjonsbruk der målsetjinga er å vere sjølvfôrsynt med fôr. På det gitte naturgrunnlaget såg det ut til å vere muleg å produsere 500-600 kg mjølk/daa/år. Plantemøtet 2008. Grønnsaker, Genressurser, Kulturlandskap, Korn, Proteinvekster/frø, Potet, Grovfôr, Plantehelse/Plantevern, Jord/miljø. Bioforsk FOKUS 1(3) 2008. s. 150-151. I samarbeid med fleire forsøksringar har Bioforsk Midt-Norge granska korleis val av timoteisort påverkar avlingsmengd og fôrverdi i gjenveksten. Sortar som dannar mange generative skot etter førsteslåtten gir størst avling og lågast fôrkvalitet. Plantemøtet 2008. Grønnsaker, Genressurser, Kulturlandskap, Korn, Proteinvekster/frø, Potet, Grovfôr, Plantehelse/Plantevern, Jord/miljø. Bioforsk FOKUS 1(3) 2008. s. 76-77. Effekter av traktorvekt, pløyedybde og kjøremåte under pløying ble undersøkt på to jordarter i et økologisk vekstskifte. Forsøksbehandlingene hadde relativt liten effekt på avling, men djup pløying var ofte best bl.a. fordi det reduserte mengden rotugras. Både pløying med hjulene i fåra og bruk av tyngre traktorer hadde uheldige virkninger på jordstrukturen. Dekkdimensjoner, hjulbelastning og dekktrykk bør kombineres på en slik måte at jordpakking unngås i dypere jordlag. En metode for å vurdere dette ble nylig lansert på internett i Danmark. Plantemøtet 2008. Grønnsaker, Genressurser, Kulturlandskap, Korn, Proteinvekster/frø, Potet, Grovfôr, Plantehelse/Plantevern, Jord/miljø. Bioforsk FOKUS 1(3) 2008. s. 140-141. Innholdet av råprotein i en stor del av graset fra førsteslåtten på økologiske ku- og sauegårder var lavt. Innholdet i andreslåtten var høyere. Kløverandelen i engavlinga forklarte en stor andel av variasjonen i proteininnholdet. Plantemøtet Vest 2007. Scandic Bergen Airport Hotell, Bergen. 6. - 7. mars 2007. Bioforsk FOKUS 7(2) 2007. s. 6-10. Blandingsenger med timotei, engsvingel og raudkløver har vorte slått på ulikt utviklingstrinn i førsteslått og seinare etter ulik lang gjenvekst før andre- og tredjeslått over tre år. Seine førsteslåttar gav ikkje alltid timoteidominans. Sein andreslått eller berre to slåttar i sesongen såg ut til å vere like viktige føresetnader for ein høg timoteiandel. Det såg også ut til at førsteslåttar tatt ved stengelstrekking ikkje medfører meir stress for timoteien enn det slåttar tatt ved begynnande skyting gjer. Kvaliteten på gjenveksten målt som innhald av fôreiningar og ufordøyeleg NDF, var dårlegare for timoteien enn for engsvingelen ved alle andreslåttane og tredjeslåttane, og skilnadene vart stor i seine andreslåttar. Kvaliteten i tidlege førsteslåttar var omtrent lik for dei to artane. Plantemøtet Vest 2007. Scandic Bergen Airport Hotell, Bergen. 6. - 7. mars 2007. Bioforsk FOKUS 7(2) 2007. s. 35-39. I eng på Stjørdal, i Valdres og på Ås vart tre mengder N-gjødsel gitt frå gjødselslag med og utan svovel. I to av felta fekk ein avlingsrespons på S-tilføring. S-innhaldet i avlinga, både der ho var dominert av gras og der ho inneheldt mykje kløver, vart høgare med enn utan S i gjødsla. Som følgje av det, vart N:S-forholdet også påverka av type gjødsel. I kor stor grad ein kan, og kor viktig det er å nå standard normer for N:S-forhold i fôr til drøvtyggarar i fenologisk yngre og meir nitrogenrikt plantemateriale, står att å sjå. Plantemøtet Vest 2007. Scandic Bergen Airport Hotell, Bergen. 6. - 7. mars 2007. Bioforsk FOKUS 7(2) 2007. s. 16-20. Eng av raigras (Lolium perenne L.) og kvitkløver (Trifolium repens L.) er samanlikna med timotei (Phleum pratense L.)/engsvingel (Festuca pratensis L.)/raudkløver (Trifolium pratense L.) på Særheim, Jæren, og eng av engrapp (Poa pratensis L.) og kvitkløver er samanlikna med timotei/engsvingel/raudkløver på Løken i Valdres ved ulike haustesystem og ved to nivå av N-gjødsling (12 og 24 kg N/daa og sesong). På Særheim heldt dei sådde artane seg godt og det vart lite ugras i enga. Det var små forskjellar i avling mellom engtypane på Særheim, men raigrasenga gav litt meir enn timoteienga ved intensive haustesystem. Raigrasenga hadde høgare jamt over fôrverdi enn timoteienga og kom totalt sett best ut i intensive system med høg fôrkvalitet. På Løken gav timoteienga størst avling første engåret, medan engrappenga gav vel så mykje som timotei ved intensive haustesystem andre- og tredje engåret. Timoteienga på Løken vart sterkt tynna ut ved intensive haustesystem. Her vart enga etter ei tid dominert av raudkløver og løvetann, medan graset greidde seg bra i eit toslåttssystem. Engrapp etablerer seg seint og gav tynn eng med mykje ugras første året, men bestanden tetta seg bra til og det var lite ugras andre- og tredje året. Mjøldogg er eit problem i engrapp. Det var små forskjellar i kvalitet mellom engtypane. Forsøka stadfester at timotei toler hyppig hausting dårlegare enn raigras og engrapp. For å halde god bestand av timotei ser det ut til anten første- eller andreslåtten bør haustast ved stor avling og moderat energiverdi. Ved tidleg førsteslått utgjer førsteslåtten ein moderat del av årsavlinga, og ein bør da leggje større vekt på kvaliteten av andre- og tredjeslåtten. In order to improve the basis for utilising nitrogen (N) fixed by white clover (Trifolium repens L.) in northern agriculture, we studied how defoliation stress affected the N contents of major plant organs in late autumn, N losses during the winter and N accumulation in the following spring. Plants were established from stolon cuttings and transplanted to pots that were dug into the field at Apelsvoll Research Centre (60 degrees 42'N, 10 degrees 51' E) and at Holt Research Centre (69 degrees 40' N, 18 degrees 56' E) in spring 2001 and 2002. During the first growing season, the plants were totally stripped of leaves down to the stolon basis, cut at 4 cm height or left undisturbed. The plants were sampled destructively in late autumn, early spring the second year and after 6 weeks of new spring growth. The plant material was sorted into leaves, stolons and roots. Defoliation regime did not influence the total amount of leaf N harvested during and at the end of the first growing season. However, for intensively defoliated plants, the repeated leaf removal and subsequent regrowth occurred at the expense of stolon and root development and resulted in a 61-85% reduction in the total plant N present in late autumn and a 21-59% reduction in total accumulation of plant N (plant N present in autumn + previously harvested leaf N). During the winter, the net N loss from leaf tissue (N not recovered in living nor dead leaves in the spring) ranged from 57% to 74% of the N present in living leaves in the autumn, while N stored in stolons and roots was much better conserved. However, the winter loss of stolon N from severely defoliated plants (19%) was significantly larger than from leniently defoliated (12%) and non-defoliated plants (6%). Moreover, the fraction of stolon N determined as dead in the spring was 63% for severely defoliated as compared to 14% for non-defoliated plants. Accumulation in absolute terms of new leaf N during the spring was highly correlated to total plant N in early spring (R-2 = 0.86), but the growth rates relative to plant N present in early spring were not and, consequently, were similar for all treatments. The amount of inorganic N in the soil after snowmelt and the N uptake in plant root simulator probes (PRS (TM)) during the spring were small, suggesting that microbial immobilisation, leaching and gas emissions may have been important pathways for N lost from plant tissue. Jord- og Plantekultur 2006. Forsøk i korn, oljevekster, engfrøavl og potet 2005. Bioforsk FOKUS 2(1) 2006. s. 250-255. Det er gjennomført en spørreundersøkelse blant bønder som viser at forsøksopplegget i programmet "Økologiske dyrkingssytemer for større og mer stabile kornavlinger" er relevant med hensyn til den pløyedybde, traktorstørrelse og det dekktrykk som brukes i praktisk økologisk korndyrking i Norge i dag. Det er samsvar mellom enkelte av de foreløpige forsøksresultatene og de tendensene en kan se fra svarene fra spørreundersøkelsen. Undersøkelsen viser at det er store variasjoner i avlingene ute hos praktikerne. Bøndene er opptatt av jordarbeiding og pakkeskader, og derfor vil resultatene en til slutt kommer fram til i forsøkene være til nytte for praktisk drift, også dersom det viser seg at utslaget for en eller flere av faktorene er lite. Plantemøtet Østlandet 2006. Plantevern, Jord og miljø, Økologisk landbruk, Korn, Potet, Grovfôr, Kulturlandskap, Grønnsaker. Bioforsk FOKUS 3(1) 2006. s. 56-57. Innenfor det strategiske instituttprogrammet "Økologiske dyrkingssystemer for større og mer stabile kornavlinger" er det høsten 2005 foretatt en intervjuundersøkelse av 24 bønder. Resultatet av disse intervjuene er presentert og evaluert opp mot behandlingene og foreløpige resultater i programmet. Temporal changes in the scores of selected soil fertility indices were studied over six years in three different cases of organic crop rotation located in southern, eastern and central Norway. The cropping history and the initial scores of fertility indices prior to conversion to organic cropping differed between the sites. Crop yields, regarded as an overall, integrating fertility indicator, were in all rotations highly variable with few consistent temporal trends following the first year after conversion. 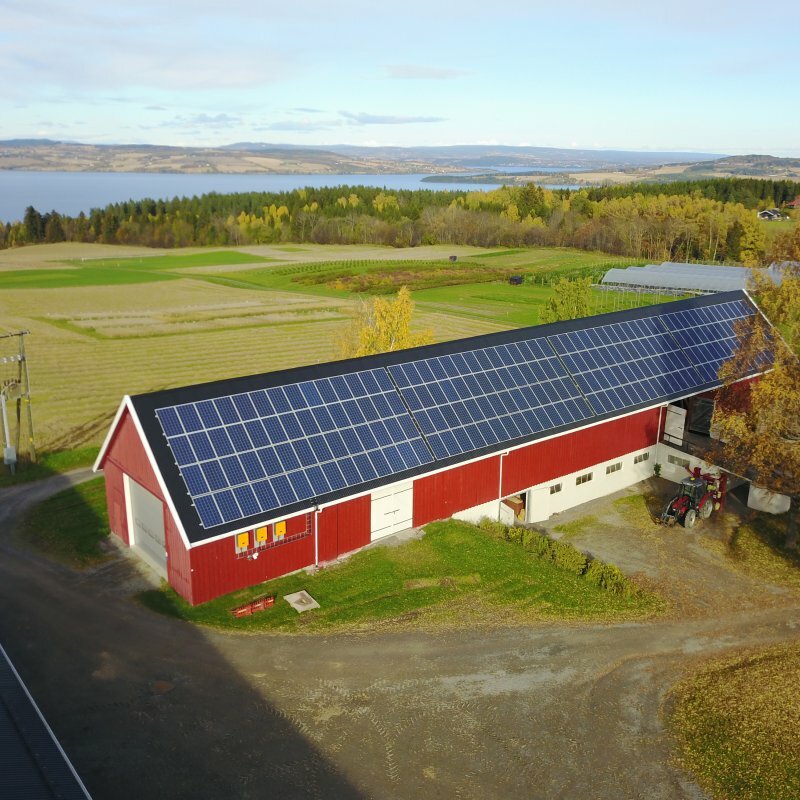 On the site in eastern Norway, where conversion followed several years of all-arable crop rotations, earthworm number and biomass and soil physical properties improved, whereas the system was apparently degrading with regard to P and K trade balances and contents in soil. On the other two sites, the picture was less clear. On the southern site, which had a relatively fertile soil before conversion, the contents of soil organic matter and K decreased during the six-year period, but the scores of other fertility indices showed no trends. 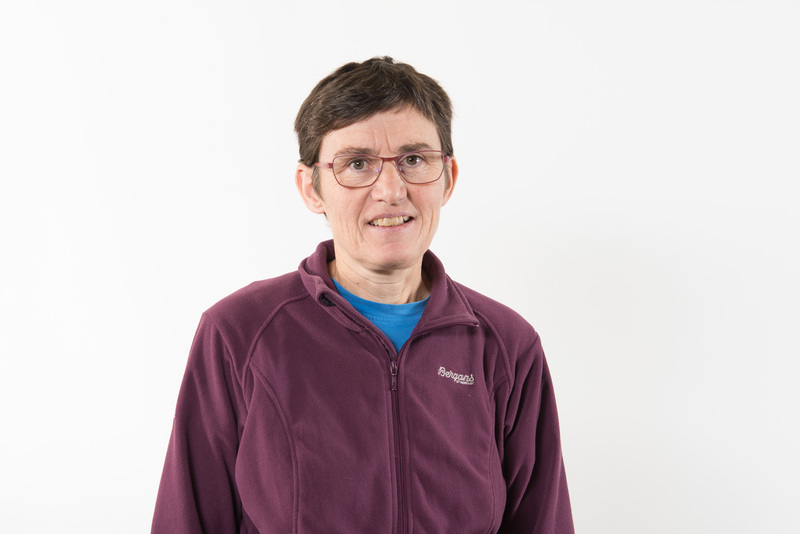 On the site in central Norway, there were positive trends for earthworm-related indices such as worm biomass and tubular biopores, and negative trends for soil porosity. The results, especially those from the eastern site, illustrate the general difficulty in drawing conclusions about overall fertility or sustainability when partial indicators show divergent trends. Consequently, the study gave no unambiguous support to the initial working hypothesis that organic farming increases inherent overall soil fertility, but rather showed that the effect varied among indicators and depended on status of the cases at conversion. It is concluded that indicators are probably better used as tools to learn about and improve system components than as absolute measures of sustainability. Grønn kunnskap e, 9(106) 2005. 6 s.
Bakken, A.K., Nesheim, L., Harbo, O., Johansen, A. & Wikmark, T. 2005. Potensial for dyrking av fôrmais i Noreg. Grønn kunnskap e 9(106). 6 s. Planteforsk. Tilgjengelig fra: http://hdl.handle.net/11250/2505644. Ulike sortar av fôrmais vart i åra 2002-2004 dyrka i forsøk på Jæren og ved Trondheimsfjorden i Nord-Trøndelag. I to av åra vart plastdekke frå våren av lagt inn som forsøksfaktor. På grunnlag av oppnådd avlingsmengde og kvalitet, vêrdata for forsøksåra og for tiårsperioden 1995-2004 på desse lokalitetane og for Tjølling i Vestfold og Ås i Akershus, vart potensialet og risikoen for avlingssvikt ved fôrmaisdyrking drøfta. Konklusjonen vart at fôrmaisproduksjon i Trøndelag og på Jæren er eit risikoforetak, også dersom ein legg inn bruk av plastdekke frå våren av. Truleg var åra 1997 og 2002 dei to einaste i tiårsperioden 1995-2004 at ein kunne ha oppnådd store avlingar med god nok kvalitet. Tjølling i Vestfold var den sikraste lokaliteten av dei fire ein såg på, men også her var mange av somrane i tiårsperioden truleg for dårlege for det aktuelle sortsmaterialet, også med bruk av plast. Organic farming for a new millennium - status and future challenges. Proceedings of NJF-seminar 369, Alnarp, Sweden, June 15 - 17, 2005. Attachments. 2005. Breland, T.A., Bakken, A.K., Haraldsen, T.K., Aamlid, T. & Sveistrup, T. 2005. Soil fertility in three cropping systems after conversion from conventional to organic farming. Organic farming for a new millennium - status and future challenges. Proceedings of NJF-seminar 369, Alnarp, Sweden, June 15 - 17, 2005. Attachments, Nordic Association of Agricultural Scientists. Grønn kunnskap e, 9(110) 2005. 6 s.
Bonesmo, H.S., Karlsen, S.R., Bakken, A.K. & Høgda, K.A. 2005. Vekstavslutning hos gras og anbefaling om frist om høsten for spredning av husdyrgjødsel på eng uten nedmolding. Grønn kunnskap e 9(110). 6 s. Planteforsk. Tilgjengelig fra: http://hdl.handle.net/11250/2505613. Årsvekst og vekstavslutting hos timotei samt minimum og maksimum N-opptak om høsten er beregna for fem år ved Holt i Troms, Kvithamar ved Trondheimsfjorden, Storsteigen i Østerdalen, Tomb i Østfold, og Øksnevad på Jæren. Ut fra disse beregningene og forutsatt et krav om planteopptak av 4-5 kg N daa-1etter spredning, har vi foreslått frist for spredning av husdyrgjødsel på eng uten nedmolding. Et norgeskart over vekstavlutning hos gras er laget på grunnlag av MODIS satellittdata og indeksen Normalized Difference Vegetation Index (NDVI). På hvert av de fem stedene er det beregnet NDVI-kurver for de fem åra. NDVI-kurvene er sammenholdt med grasvekstberegningen, og vi har fastsatt terskler i NDVI for vekstavslutning. Disse terskelverdiene har deretter blitt brukt i arbeidet med å lage kartet for vekstavsluting. Ein gjer greie for mål og framgangsmåte, samt resultat frå innleiiande eksperiment i eit prosjekt som studerer korleis ein kan ta vare på og utnytte biologisk fiksert nitrogen i grønngjødslingsvekstar på ein best muleg måte. Populærvitenskapelig – Jordarbeidingsmetoder og jordstruktur - Presentasjon av jordarbeidingsforsøkene i forskingsprogrammet "Økologiske dyrkingssystemer for større og mer stabile kornavlinger"
Som ein del av det strategiske forskingsprogrammet "Økologiske dyrkingssystemer for større og mer stabile kornavinger", er det etablert fastliggande omløpsforsøk med ulike jordarbeidingsstratgiar. I denne publikasjonen vert forsøkopplegg, utstyr og registreringar presenterte. Jordarbeidingsledda traktortyngde (3 og 6 t), pløyedjup (15 og 25 cm) og pløyemåte (i fora og på land) vert testa i ein split-split-plot plan på Planteforsk Apelsvoll og Planteforsk Kvithamar. Alle ledda vert prøvde i eit 3 årig vekstskifte med grøngjødsling, bygg eller kveite, havre med erter. Effektar på jord, avling, ugras og meitemark vert registrerte. Proceeding of the NJF\"s 22nd Congress \"Nordic Agriculture in Global Perspective\", July 1-4, 2003, Turku, Finland., 2003. Bakken, A.K., R. Eltun, T. Haraldsen, T. Breland & T. Aamlid. 2003. Changes in soil quality in three cropping systems after conversion from conventional to organic farming. Available at www.njf.dk/njf/reports. Proceeding of the NJF\"s 22nd Congress \"Nordic Agriculture in Global Perspective\", July 1-4, 2003, Turku, Finland. Ulike uttrykk for jordkvalitet, så som avlingsstørrelse, næringsbalanser og meitemarkaktivitet er fulgt gjennom seks års økologisk drift i tre ulike dyrkingssystem. Bakken, A.K., Asdal, Å., Aamlid, T., Breland, T.A., Haraldsen, T.K. & Sveistrup, T. 2002. Avlingar og jordeigenskapar gjennom seks års økologisk drift i dyrkingssystema på Planteforsk Landvik, Østre Voll, HLH og Planteforsk Kvithamar (Poster). Næringsforsyning i økologisk planteproduksjon utan eller med lite husdyrgjødsel –kvar står vi og kor går vi?, Honne Hotell og Konferansesenter, Biri. Publikasjonen inneheld samandragsartiklar frå avsluttingsseminaret for det stratgiske instituttprogrammet "Næringsforsyning i økologiske dyrkingssystem med lite husdyrgjødsel". Følgjande emne er presentert:1) Gjødslingsvekster som nitrogenkilde ved dyrking av grønnsaker, 2) Oppsummering av erfaringene med bruk av underkulturer og med bruk av planteavklipp som dekkemateriale ved grønnsakdyrking på Kise 1998-2002, 3) Helhetlige metoder for kontroll av ugras og skadedyr i radkulturer ved hjelp av underkultur og plantavklipp, 4) Forgrøder og organiske gjødselslag som næringskilde til korn, 5) Ettervirkning av frøeng i økologiske omløp, 6) Fosfor- og kaliumeffektivitet i bygg og vårhvete: Forskjeller mellom eldre og nyere sorter, 7) Avlingar og jordeigenskapar gjennom seks års økologisk drift i dyrkingssystema på Planteforsk Landvik, Østre Voll, NLH og Planteforsk Kvithamar, 8) Forsøk med økologisk plantedyrking uten husdyr i Danmark, 9) Kvalitetsdyrking av økologisk vårhvete etter kløverrik eng i Sverige, 10) Finske forsøk med næringsforsyning i økologiske dyringssystem med lite eller ingen tilførsel av husdyrgjødsel.